Like rhinestones or embroidery on pockets, marketing campaigns and promotions can attract a little more interest. Many companies embrace social media, blogging, and email marketing to attract business. However, when it’s time to launch a new product, offer an incentive or just reach some new eyes, a campaign works across multiple channels to achieve the desired results both online and on site. 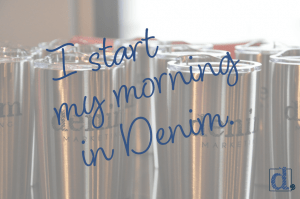 When the experts at Denim Marketing create a campaign, we start by defining our client’s goals. Then we determine how long the campaign or promotion needs to run to determine the desired results. Some promotions can be as short as just a few days, while others run a full year. The typical campaign we run is usually 45 to 60 days. A thoroughly planned and executed campaign uses flyers, point-of-purchase displays, email marketing, social media, public relations, blog posts, digital and print advertising to spread the campaign messages. A well-planned campaign works to educate existing customers and the target audience about the company’s latest programs, products and services. Strategic campaigns promote a company’s interests while capturing the attention of the intended audience. Rogers says the Denim Marketing team usually starts with the most essential of campaign collateral, often a flyer, to create the elements of the campaign: images, graphics and copy. 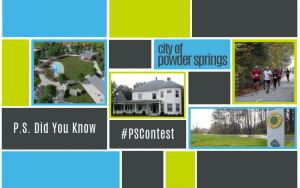 All other pieces are created based on the design elements and contents of the main piece of collateral. Digital ads will be more image-heavy while print ads allow for more text. 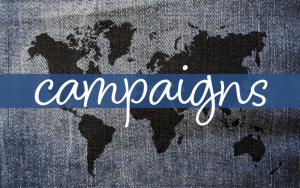 No matter where a piece of the campaign is published or shared, they all adhere to the theme and goal of the campaign so that the company’s mission and brand is easily recognized. Rogers explains that an essential component of any campaign is that its success can be quantifiable. In other words, every piece of the campaign puzzle needs to point to a landing page or central place. This allows us to capture email addresses, phone numbers or interests of potential customers and to measure the various campaign elements to determine which work the best. As we assess the campaign over time, adjustments are made to focus on the individual tactics that yield the highest results. 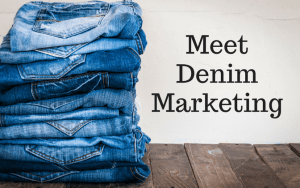 To learn how Denim Marketing can help your company develop and implement a campaign, call us at 770-383-3360 or contact us today.